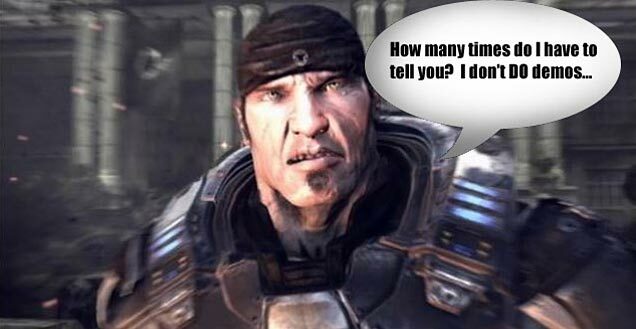 Fans of Gears of War are already counting down the days until the games release this November. With a game of that status dropping you’d figure that a demo would be a done deal right? Well, no. Tanya Jessen, the associate produceer on Gears 2 says the reasoning for scratching the demo is because it would cut too much into the time it takes to develop the game itself. The decision to do away with a demo is becoming an increasingly controversial topic in the industry as of late. In some ways a demo can be seen as a way to attract customers to your product that might not have otherwise been interested. On the other hand, it often backfires and the demo itself is enough to satisfy gamer’s hunger for a specific title, preventing them from buying the full retail version when it finally hits store shelves. I’m sure with a title like Gears 2, there is no question that the game will sell like crazy either way, so I’m not sure it makes much of a difference from a sales perspective. It should also be noted that the first Gears of War lacked a demo as well, but I’m sure that’s no consolation to gamers itching to pump lead into hordes of Locust on their 360 a little early.